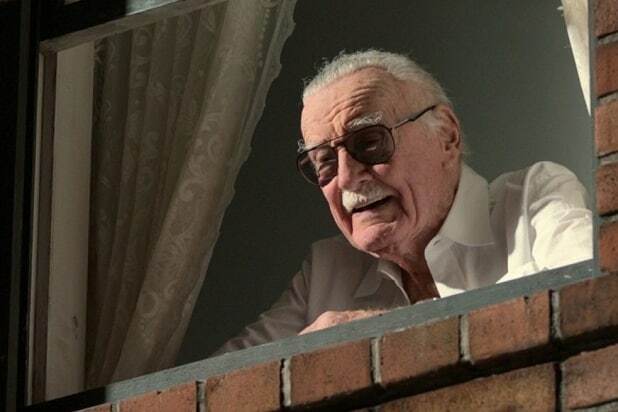 “Spider-Man: Into the Spider-Verse” has a bittersweet moment for fans when the film hits theaters in December: one of Stan Lee’s final cameos, and the first since his death Nov. 12 at 95. 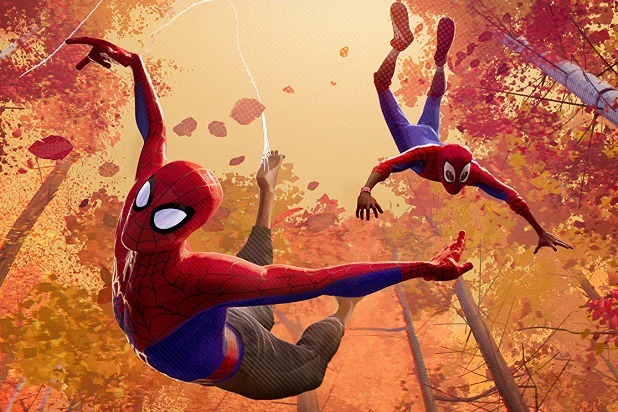 While Stan the Man never got to see the final cut of “Spider-Verse,” directors Bob Persichetti, Peter Ramsey and Rodney Rothman told TheWrap that he recorded his cameo over a year ago, and got to see how he would look in the film’s ambitious, hybrid style that blends 3-D animation with hand-drawn details and facial expressions. The cameo comes as Miles Morales decides to follow in Peter Parker’s footsteps and take up the mantle of Spider-Man. But being just a teenager with a secret no one else knows, he can’t exactly get his hands on a Tony Stark-designed Spidey suit. So he goes to a costume shop and buys a cheap Spider-Man Halloween costume, complete with a string to tie up the back and a mask with eyeholes. When he takes it to the counter, he asks the store owner, “What if it doesn’t fit?” The owner, of course, is Stan, who flashes his signature smile and assures Miles “It always fits…eventually.” And then points to a “No Returns” sign. “Spider-Man: Into the Spider-Verse” hits theaters Dec. 14. We've been through a whole lot of Spider-Man in the past couple decades, from the Tobey Maguire years to Tom Holland in the Marvel Cinematic Universe to, now, a big-screen animated pic focused on Miles Morales and a whole bunch of other Spider-People. So how does this new animated version of Spidey stack up with the previous flicks? The first attempt to reboot the series after the Sam Raimi version of "Spider-Man" is easily the worst Spidey film because it's just so irritating to watch. It's one thing to be bad, and it's something else entirely to be annoying. 6. "The Amazing Spider-Man 2"
Unlike its predecessor, Marc Webb's second failed attempt to make a coherent "Spider-Man" movie at least had the decency to be amusing thanks to the decision to have an unhinged, glowing Jamie Foxx as the main villain. In contrast to the more cynical failures of the "Amazing Spider-Man" movies, Raimi's last go-around maintained a beating heart even while it was severely hampered by somebody's need to shove a million villains in at once. The dance number alone makes it more interesting than nearly any other bad superhero movie. A lot of the early movies in the modern age of superhero blockbusters were very novel and exciting at the time but ended up feeling pretty mundane next to more recent ones, and the original "Spider-Man" movie is definitely one of those. It's fine. Solid. The storytelling suffers a bit upon reflection, but it's delightful and works so well as a comedy that it's hard to complain too much. If you look back at every comic book movie ever made, you're not going to find a whole lot that feel totally complete on their own. But "Spider-Man 2" is definitely one of them. It's not just a great superhero movie -- it's a great movie, period. While "Spider-Man 2" might have made me cry, "Into the Spider-Verse" made me weep. It also proved once and for all that Miles Morales (Shameik Moore) is the superior Spider-Man to Peter Parker. How does the animated “Spider-Verse” stack up in comparison with all those live-action mega-budget movies?